Amelia Earhart Birthplace: Atchison, Kansas, U.S. Known for: First woman to fly solo across the Atlantic Ocean and setting many aviation records. Amelia Mary Earhart (pronounced AIR-hart); (born July 24, 1897; missing July 2, 1937; declared legally dead January 5, 1939) was a noted American aviation pioneer and author. Earhart was the first woman to receive the U.S. Distinguished Flying Cross, awarded for becoming the first aviatrix to fly solo across the Atlantic Ocean. She set many other records, wrote best-selling books about her flying experiences and was instrumental in the formation of The Ninety-Nines, an organization for female pilots. Earhart joined the faculty of the world-famous Purdue University aviation department in 1935 as a visiting faculty member to counsel women on careers and help inspire others with her love for aviation. She was also a member of the National Woman's Party, and an early supporter of the Equal Rights Amendment. Amelia Mary Earhart, daughter of Samuel "Edwin" Stanton Earhart (March 28, 1867) and Amelia "Amy" Otis Earhart (1869-1962), was born in Atchison, Kansas, in the home of her maternal grandfather, Alfred Gideon Otis (1827-1912), a former federal judge, president of the Atchison Savings Bank and a leading citizen in Atchison. This was the second child in the marriage as an infant was stillborn in August 1896. Alfred Otis had not initially favored the marriage and was not satisfied with Edwin's progress as a lawyer. Earhart was named, according to family custom, after her two grandmothers (Amelia Josephine Harres and Mary Wells Patton). From an early age Earhart, nicknamed "Meeley" (sometimes "Millie") was the ringleader while younger sister (two years her junior), Grace Muriel Earhart (1899-1998), nicknamed "Pidge," acted the dutiful follower. Both girls continued to answer to their childhood nicknames well into adulthood. Their upbringing was unconventional since Amy Earhart did not believe in molding her children into "nice little girls." Meanwhile their maternal grandmother disapproved of the "bloomers" worn by Amy's children and although Earhart liked the freedom they provided, she was aware other girls in the neighborhood did not wear them. A spirit of adventure seemed to abide in the Earhart children with the pair setting off daily to explore their neighborhood. As a child, Earhart spent long hours playing with Pidge, climbing trees, hunting rats with a rifle and "belly-slamming" her sled downhill. Although this love of the outdoors and "rough-and-tumble" play was common to many youngsters, some biographers have characterized the young Earhart as a tomboy. The girls kept "worms, moths, katydids and a tree toad" in a growing collection gathered in their outings. In 1904, with the help of her uncle, she cobbled together a home-made ramp fashioned after a roller coaster she had seen on a trip to St. Louis and secured the ramp to the roof of the family toolshed. Earhart's well-documented first flight ended dramatically. She emerged from the broken wooden box that had served as a sled with a bruised lip, torn dress and a "sensation of exhilaration." She exclaimed, "Oh, Pidge, it's just like flying!" While the family's finances seemingly improved with the acquisition of a new house and even the hiring of two servants, it soon became apparent Edwin was an alcoholic. Five years later (in 1914), he was forced to retire and although he attempted to rehabilitate himself through treatment, he was never reinstated at the Rock Island Railroad. At about this time, Earhart's grandmother Amelia Otis died suddenly, leaving a substantial estate that placed her daughter's share in trust, fearing that Edwin's drinking would drain the funds. The Otis house and all of its contents, was auctioned; Earhart was heart-broken and later described it as the end of her childhood. In 1915, after a long search, Earhart's father found work as a clerk at the Great Northern Railway in St. Paul, Minnesota, where Earhart entered Central High School as a junior. Edwin applied for a transfer to Springfield, Missouri, in 1915 but the current claims officer reconsidered his retirement and demanded his job back, leaving the elder Earhart with nowhere to go. Facing another calamitous move, Amy Earhart took her children to Chicago where they lived with friends. Earhart made an unusual condition in the choice of her next schooling; she canvassed nearby high schools in Chicago to find the best science program. She rejected the high school nearest her home when she complained that the chemistry lab was "just like a kitchen sink." She eventually was enrolled in Hyde Park High School but spent a miserable semester where a yearbook caption captured the essence of her unhappiness, "A.E. - the girl in brown who walks alone." Earhart graduated from Hyde Park High School in 1916. Throughout her troubled childhood, she had continued to aspire to a future career; she kept a scrapbook of newspaper clippings about successful women in predominantly male-oriented fields, including film direction and production, law, advertising, management and mechanical engineering. She began junior college at Ogontz School in Rydal, Pennsylvania but did not complete her program. When the 1918 Spanish flu pandemic reached Toronto, Earhart was engaged in arduous nursing duties including night shifts at the Spadina Military Hospital. She became a patient herself, suffering from pneumonia and maxillary sinusitis. She was hospitalized in early November 1918 owing to pneumonia and discharged in December 1918, about two months after the illness had started. Her sinus-related symptoms were pain and pressure around one eye and copious mucus drainage via the nostrils and throat. In the hospital, in the pre-antibiotic era, she had painful minor operations to wash out the affected maxillary sinus, but these procedures were not successful and Earhart subsequently suffered from worsening headache attacks. Her convalescence lasted nearly a year, which she spent at her sister's home in Northampton, Massachusetts. She passed the time by reading poetry, learning to play the banjo and studying mechanics. Chronic sinusitis was to significantly affect Earhart's flying and activities in later life, and sometimes even on the airfield she was forced to wear a bandage on her cheek to cover a small drainage tube. At about that time, with a young woman friend, Earhart visited an air fair held in conjunction with the Canadian National Exposition in Toronto. One of the highlights of the day was a flying exhibition put on by a World War I "ace." The pilot overhead spotted Earhart and her friend, who were watching from an isolated clearing and dived at them. "I am sure he said to himself, 'Watch me make them scamper,'" she said. 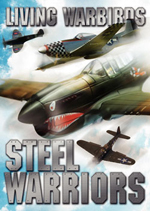 Earhart stood her ground as the aircraft came close. "I did not understand it at the time," she said, "but I believe that little red airplane said something to me as it swished by." By 1919 Earhart prepared to enter Smith College but changed her mind and enrolled at Columbia University signing up for a course in medical studies among other programs. She quit a year later to be with her parents who had reunited in California. In Long Beach, on December 28, 1920, Earhart and her father visited an airfield where Frank Hawks (who later gained fame as an air racer) gave her a ride that would forever change Earhart's life. "By the time I had got two or three hundred feet off the ground," she said, "I knew I had to fly." After that 10-minute flight (that cost her father $10), she immediately became determined to learn to fly. Working at a variety of jobs, including photographer, truck driver, and stenographer at the local telephone company, she managed to save $1,000 for flying lessons. Earhart had her first lessons, beginning on January 3, 1921, at Kinner Field near Long Beach, but to reach the airfield Earhart took a bus to the end of the line, then walked four miles (6 km). Earhart's mother also provided part of the $1,000 "stake" against her "better judgement." Her teacher was Anita "Neta" Snook, a pioneer female aviator who used a surplus Curtiss JN-4 "Canuck" for training. Earhart arrived with her father and a singular request, "I want to fly. Will you teach me?" Earhart's commitment to flying required her to accept the frequently hard work and rudimentary conditions that accompanied early aviation training. She chose a leather jacket, but aware that other aviators would be judging her, she slept in it for three nights to give the jacket a "worn" look. To complete her image transformation, she also cropped her hair short in the style of other female flyers. 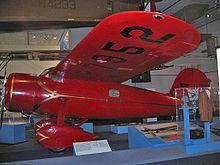 Six months later, Earhart purchased a second-hand bright yellow Kinner Airster biplane which she nicknamed "The Canary." On October 22, 1922, Earhart flew the Airster to an altitude of 14,000 feet (4,300 m), setting a world record for female pilots. On May 15, 1923, Earhart became the 16th woman to be issued a pilot's license (#6017) by the F�d�ration A�ronautique Internationale (FAI). Picture - Amelia Earhart, Los Angeles, 1928 X5665 - 1926 CIT-9 Safety Plane - California Institute of Technology (CalTech) Aerospace model 9 Merrill-type biplane designed by Albert Adams Merrill (Instructor in Aeronautics); 45hp Kinner engine; wingspan: 24'0". 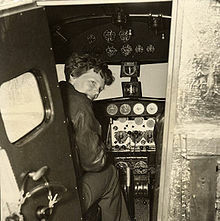 According to the Boston Globe, Earhart was "one of the best women pilots in the United States," although this characterization has been disputed by aviation experts and experienced pilots in the decades since. She was an intelligent and competent pilot, but hardly a brilliant aviator, whose early efforts were characterized as inadequate by more seasoned flyers. One serious miscalculation occurred during a record attempt that had ended with her spinning down through a cloud bank, only to emerge at 3,000 ft (910 m). Experienced pilots admonished her, "Suppose the clouds had closed in until they touched the ground?" Earhart was chagrined, yet acknowledged her limitations as a pilot and continued to seek out assistance throughout her career from various instructors. By 1927, "Without any serious incident, she had accumulated nearly 500 hours of solo flying - a very respectable achievement." Throughout this period, her grandmother's inheritance, which was now administered by her mother, was constantly depleted until it finally ran out following a disastrous investment in a failed gypsum mine. Consequently, with no immediate prospects for recouping her investment in flying, Earhart sold the "Canary" as well as a second Kinner and bought a yellow Kissel "Speedster" two-passenger automobile, which she named the "Yellow Peril." Simultaneously, Earhart experienced an exacerbation of her old sinus problem as her pain worsened and in early 1924, she was hospitalized for another sinus operation, which was again unsuccessful. After trying her hand at a number of unusual ventures including setting up a photography company, Earhart set out in a new direction. Following her parents' divorce in 1924, she drove her mother in the "Yellow Peril" on a transcontinental trip from California with stops throughout the West and even a jaunt up to Calgary, Alberta. The meandering tour eventually brought the pair to Boston, Massachusetts where Earhart underwent another sinus procedure, this operation being more successful. After recuperation, she returned for several months to Columbia University but was forced to abandon her studies and any further plans for enrolling at the MIT because her mother could no longer afford the tuition fees and associated costs. Soon after, she found employment first as a teacher, then as a social worker in 1925 at Denison House, living in Medford, Massachusetts. When Earhart lived in Medford, she maintained her interest in aviation, becoming a member of the American Aeronautical Society's Boston chapter and was eventually elected its vice president. She flew out of Dennison Airport (later the Naval Air Station Squantum) in Quincy, Massachusetts and helped finance its operation by investing a small sum of money. Earhart also flew the first official flight out of Dennison Airport in 1927. As well as acting as a sales representative for Kinner airplanes in the Boston area, Earhart wrote local newspaper columns promoting flying and as her local celebrity grew, she laid out the plans for an organization devoted to female flyers. After Charles Lindbergh's solo flight across the Atlantic in 1927, Amy Phipps Guest, (1873-1959), expressed interest in being the first woman to fly (or be flown) across the Atlantic Ocean. After deciding the trip was too perilous for her to undertake, she offered to sponsor the project, suggesting they find "another girl with the right image." While at work one afternoon in April 1928, Earhart got a phone call from Capt. Hilton H. Railey, who asked her, "Would you like to fly the Atlantic?" The project coordinators (including book publisher and publicist George P. Putnam) interviewed Earhart and asked her to accompany pilot Wilmer Stultz and co-pilot/mechanic Louis Gordon on the flight, nominally as a passenger, but with the added duty of keeping the flight log. The team departed Trepassey Harbor, Newfoundland in a Fokker F.VIIb/3m on June 17, 1928, landing at Burry Port (near Llanelli), Wales, United Kingdom, exactly 20 hours and 40 minutes later. Since most of the flight was on "instruments" and Earhart had no training for this type of flying, she did not pilot the aircraft. When interviewed after landing, she said, "Stultz did all the flying-had to. I was just baggage, like a sack of potatoes." She added, "...maybe someday I'll try it alone." When the Stultz, Gordon and Earhart flight crew returned to the United States, they were greeted with a ticker-tape parade in New York followed by a reception with President Calvin Coolidge at the White House. Trading on her physical resemblance to Lindbergh, whom the press had dubbed "Lucky Lindy," some newspapers and magazines began referring to Earhart as "Lady Lindy." The United Press was more grandiloquent; to them, Earhart was the reigning "Queen of the Air." Immediately after her return to the United States, she undertook an exhausting lecture tour (1928-1929). Meanwhile, Putnam had undertaken to heavily promote her in a campaign including publishing a book she authored, a series of new lecture tours and using pictures of her in mass market endorsements for products including luggage, Lucky Strike cigarettes (this caused image problems for her, with McCall's magazine retracting an offer) and women's clothing and sportswear. The money that she made with "Lucky Strike" had been earmarked for a $1,500 donation to Commander Richard Byrd's imminent South Pole expedition. Rather than simply endorsing the products, Earhart actively became involved in the promotions, especially in women's fashions. For a number of years she had sewn her own clothes, but the "active living" lines that were sold in 50 stores such as Macy's in metropolitan areas were an expression of a new Earhart image. Her concept of simple, natural lines matched with wrinkle-proof, washable materials was the embodiment of a sleek, purposeful but feminine "A.E." (the familiar name she went by with family and friends). The luggage line that she promoted (marketed as Modernaire Earhart Luggage) also bore her unmistakable stamp. She ensured that the luggage met the demands of air travel; it is still being produced today. A wide range of promotional items would appear bearing the Earhart "image" and likewise, modern equivalents are still being marketed to this day. The marketing campaign by G.P. Putnam was successful in establishing the Earhart mystique in the public psyche. Picture - Studio portrait of Amelia Earhart, c. 1932. 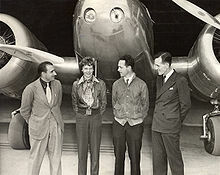 Putnam specifically instructed Earhart to disguise a "gap-toothed" smile by keeping her mouth closed in formal photographs. The celebrity endorsements would help Earhart finance her flying. Accepting a position as associate editor at Cosmopolitan magazine, she turned this forum into an opportunity to campaign for greater public acceptance of aviation, especially focusing on the role of women entering the field. 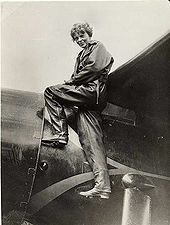 In 1929, Earhart was among the first aviators to promote commercial air travel through the development of a passenger airline service; along with Charles Lindbergh, she represented Transcontinental Air Transport (TAT) and invested time and money in setting up the first regional shuttle service between New York and Washington, DC. (TAT later became TWA). She was a Vice President of National Airways, which conducted the flying operations of the Boston-Maine Airways and several other airlines in the northeast. By 1940, it had become Northeast Airlines. 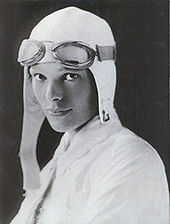 Earhart subsequently made her first attempt at competitive air racing in 1929 during the first Santa Monica-to-Cleveland Women's Air Derby (later nicknamed the "Powder Puff Derby" by Will Rogers). 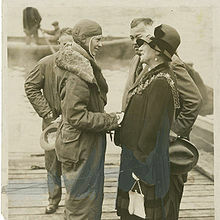 During the race, at the last intermediate stop before the finish in Cleveland, Earhart and her friend Ruth Nichols were tied for first place. Nichols was to take off right before Earhart, but her aircraft hit a tractor at the end of the runway and flipped over. Instead of taking off, Earhart ran to the wrecked aircraft and dragged her friend out. 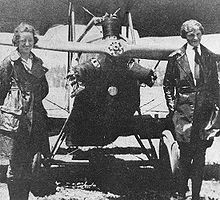 Only when she was sure that Nichols was uninjured did Earhart take off for Cleveland but due to the time lost, she finished third. Her courageous act was symbolic of Earhart's selflessness; typically, she rarely referred to the incident in later years. In 1930, Earhart became an official of the National Aeronautic Association where she actively promoted the establishment of separate women's records and was instrumental in the F�d�ration A�ronautique Internationale (FAI) accepting a similar international standard. In 1931, flying a Pitcairn PCA-2 autogyro, she set a world altitude record of 18,415 feet (5,613 m) in a borrowed company machine. While to a reader today it might seem that Earhart was engaged in flying "stunts," she was, with other female flyers, crucial to making the American public "air minded" and convincing them that "aviation was no longer just for daredevils and supermen." For a while Earhart was engaged to Samuel Chapman, a chemical engineer from Boston, breaking off her engagement on November 23, 1928. During the same period, Earhart and Putnam had spent a great deal of time together, leading to intimacy. George P. Putnam, who was known as GP, was divorced in 1929 and sought out Earhart, proposing to her six times before she finally agreed. After substantial hesitation on her part, they married on February 7, 1931, in Putnam's mother's house in Noank, Connecticut. Earhart referred to her marriage as a "partnership" with "dual control." In a letter written to Putnam and hand delivered to him on the day of the wedding, she wrote, "I want you to understand I shall not hold you to any midaevil [sic] code of faithfulness to me nor shall I consider myself bound to you similarly." 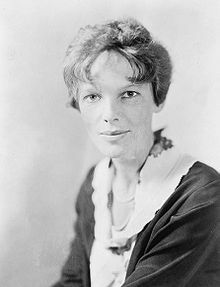 Earhart's ideas on marriage were liberal for the time as she believed in equal responsibilities for both "breadwinners" and pointedly kept her own name rather than being referred to as Mrs. Putnam. When The New York Times, per the rules of its stylebook, insisted on referring to her as Mrs. Putnam, she laughed it off. GP also learned quite soon that he would be called "Mr. Earhart." There was no honeymoon for the newlyweds as Earhart was involved in a nine-day cross-country tour promoting autogyros and the tour sponsor, Beech-nut Gum. 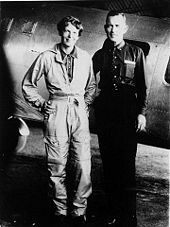 Although Earhart and Putnam had no children, he had two sons by his previous marriage to Dorothy Binney (1888-1982), a chemical heiress whose father's company, Binney & Smith, invented Crayola crayons: the explorer and writer David Binney Putnam (1913-1992) and George Palmer Putnam, Jr. (born 1921). Earhart was especially fond of David who frequently visited his father at their family home in Rye, New York. George had contracted polio shortly after his parents' separation and was unable to visit as often. At the age of 34, on the morning of May 20, 1932, Earhart set off from Harbour Grace, Newfoundland with the latest copy of a local newspaper (the dated copy was intended to confirm the date of the flight). She intended to fly to Paris in her single engine Lockheed Vega 5b to emulate Charles Lindbergh's solo flight. Her technical advisor for the flight was famed Norwegian American aviator Bernt Balchen who helped prepare her aircraft. He also played the role of "decoy" for the press as he was ostensibly preparing Earhart's Vega for his own Arctic flight. After a flight lasting 14 hours, 56 minutes during which she contended with strong northerly winds, icy conditions and mechanical problems, Earhart landed in a pasture at Culmore, north of Derry, Northern Ireland. The landing was witnessed by Cecil King and T. Sawyer. When a farm hand asked, "Have you flown far?" Earhart replied, "From America." 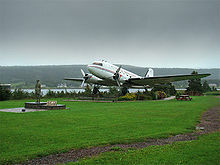 The site now is the home of a small museum, the Amelia Earhart Centre. As the first woman to fly solo non-stop across the Atlantic, Earhart received the Distinguished Flying Cross from Congress, the Cross of Knight of the Legion of Honor from the French Government and the Gold Medal of the National Geographic Society from President Herbert Hoover. As her fame grew, she developed friendships with many people in high offices, most notably Eleanor Roosevelt, the First Lady from 1933-1945. 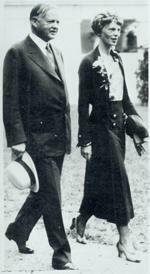 Roosevelt shared many of Earhart's interests and passions, especially women's causes. After flying with Earhart, Roosevelt obtained a student permit but did not pursue her plans to learn to fly. The two friends communicated frequently throughout their lives. Another famous flyer, Jacqueline Cochran, who the public considered Earhart's greatest rival, also became a confidante and friend during this period. On January 11, 1935, Earhart became the first person to fly solo from Honolulu, Hawaii to Oakland, California. Although this transoceanic flight had been attempted by many others, most notably by the unfortunate participants in the 1927 Dole Air Race which had reversed the route, her trailblazing flight had been mainly routine, with no mechanical breakdowns. In her final hours, she even relaxed and listened to "the broadcast of the Metropolitan Opera from New York." That year, once more flying her faithful Vega which Earhart had tagged "old Bessie, the fire horse," she soloed from Los Angeles to Mexico City on April 19. The next record attempt was a nonstop flight from Mexico City to New York. Setting off on May 8, her flight was uneventful although the large crowds that greeted her at Newark, New Jersey were a concern as she had to be careful not to taxi into the throng. Earhart again participated in long-distance air racing, placing fifth in the 1935 Bendix Trophy Race, the best result she could manage considering that her stock Lockheed Vega topping out at 195 mph (314 km/h) was outclassed by purpose-built air racers which reached more than 300 mph (480 km/h). The race had been a particularly difficult one as one competitor, Cecil Allen, died in a fiery takeoff mishap and rival Jacqueline Cochran was forced to retire due to mechanical problems, the "blinding fog" and violent thunderstorms that plagued the race. Between 1930-1935, Earhart had set seven women's speed and distance aviation records in a variety of aircraft including the Kinner Airster, Lockheed Vega and Pitcairn Autogiro. By 1935, recognizing the limitations of her "lovely red Vega" in long, transoceanic flights, Earhart contemplated, in her own words, a new "prize... one flight which I most wanted to attempt - a circumnavigation of the globe as near its waistline as could be." For the new venture, she would need a new aircraft. Earhart joined the faculty of Purdue University in 1935 as a visiting faculty member to counsel women on careers and as a technical advisor to the Department of Aeronautics. In July 1936, she took delivery of a Lockheed Electra 10E financed by Purdue and started planning a round-the-world flight. Not the first to circle the globe, it would be the longest at 29,000 miles (47,000 km), following a grueling equatorial route. Although the Electra was publicized as a "flying laboratory," little useful science was planned and the flight seems to have been arranged around Earhart's intention to circumnavigate the globe along with gathering raw material and public attention for her next book. Her first choice as navigator was Captain Harry Manning, who had been the captain of the President Roosevelt, the ship that had brought Amelia back from Europe in 1928. Picture - Amelia Earhart's Lockheed Electra 10E. During its modification, the aircraft had most of the cabin windows blanked out and had specially fitted fuselage fuel tanks. Through contacts in the Los Angeles aviation community, Fred Noonan was subsequently chosen as a second navigator because there were significant additional factors which had to be dealt with while using celestial navigation for aircraft. He had vast experience in both marine (he was a licensed ship's captain) and flight navigation. Noonan had recently left Pan Am, where he established most of the company's China Clipper seaplane routes across the Pacific. Noonan had also been responsible for training Pan American's navigators for the route between San Francisco and Manila. The original plans were for Noonan to navigate from Hawaii to Howland Island, a particularly difficult portion of the flight; then Manning would continue with Earhart to Australia and she would proceed on her own for the remainder of the project. On St. Patrick's Day, March 17, 1937, Earhart and her crew flew the first leg from Oakland, California to Honolulu, Hawaii. In addition to Earhart and Noonan, Harry Manning and Hollywood stunt pilot Paul Mantz (who was acting as Earhart's technical advisor) were on board. Due to lubrication and galling problems with the propeller hubs' variable pitch mechanisms, the aircraft needed servicing in Hawaii. Ultimately, the Electra ended up at the United States Navy's Luke Field on Ford Island in Pearl Harbor. The flight resumed three days later from Luke Field with Earhart, Noonan and Manning on board and during the takeoff run, Earhart ground-looped. The circumstances of the ground loop remain controversial. Some witnesses at Luke Field including the Associated Press journalist on the scene said they saw a tire blow. Earhart thought either the Electra's right tire had blown and/or the right landing gear had collapsed. Some sources, including Mantz, cited pilot error. While the Electra was being repaired Earhart and Putnam secured additional funds and prepared for a second attempt. This time flying west to east, the second attempt began with an unpublicized flight from Oakland to Miami, Florida and after arriving there Earhart publicly announced her plans to circumnavigate the globe. The flight's opposite direction was partly the result of changes in global wind and weather patterns along the planned route since the earlier attempt. Fred Noonan was Earhart's only crew member for the second flight. They departed Miami on June 1 and after numerous stops in South America, Africa, the Indian subcontinent and Southeast Asia, arrived at Lae, New Guinea on June 29, 1937. At this stage about 22,000 miles (35,000 km) of the journey had been completed. The remaining 7,000 miles (11,000 km) would all be over the Pacific. On July 2, 1937 (midnight GMT) Earhart and Noonan took off from Lae in the heavily loaded Electra. Their intended destination was Howland Island, a flat sliver of land 6,500 ft (2,000 m) long and 1,600 ft (500 m) wide, 10 feet (3 m) high and 2,556 miles (4,113 km) away. Their last known position report was near the Nukumanu Islands, about 800 miles (1,300 km) into the flight. The United States Coast Guard cutter Itasca was on station at Howland, assigned to communicate with Earhart's Lockheed Electra 10E and guide them to the island once they arrived in the vicinity. During Earhart and Noonan's approach to Howland Island the Itasca received strong and clear voice transmissions from Earhart identifying as KHAQQ but she apparently was unable to hear voice transmissions from the ship. At 7:42 a.m. Earhart radioed "We must be on you, but cannot see you-but gas is running low. Have been unable to reach you by radio. We are flying at 1,000 feet." Her 7:58 a.m. transmission said she couldn't hear the Itasca and asked them to send voice signals so she could try to take a radio bearing (this transmission was reported by the Itasca as the loudest possible signal, indicating Earhart and Noonan were in the immediate area). They couldn't send voice at the frequency she asked for, so Morse code signals were sent instead. Earhart acknowledged receiving these but said she was unable to determine their direction. Whether any post-loss radio signals were received from Earhart and Noonan remains controversial. If transmissions were received from the Electra, most if not all were weak and hopelessly garbled. Earhart's voice transmissions to Howland were on 3105 kHz, a frequency restricted to aviation use in the United States by the FCC. This frequency was not thought to be fit for broadcasts over great distances. When Earhart was at cruising altitude and midway between Lae and Howland (over 1,000 miles (1,600 km) from each) neither station heard her scheduled transmission at 0815 GCT. Moreover, the 50-watt transmitter used by Earhart was attached to a less-than-optimum-length V-type antenna. The last voice transmission received on Howland Island from Earhart indicated she and Noonan were flying along a line of position (taken from a "sun line" running on 157-337 degrees) which Noonan would have calculated and drawn on a chart as passing through Howland. After all contact was lost with Howland Island, attempts were made to reach the flyers with both voice and Morse code transmissions. Operators across the Pacific and the United States may have heard signals from the downed Electra but these were unintelligible or weak. Some of these transmissions were hoaxes but others were deemed authentic. 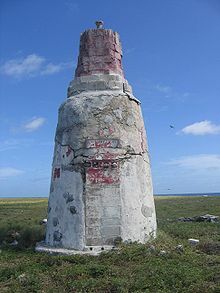 Bearings taken by Pan American Airways stations suggested signals originating from several locations, including Gardner Island. It was noted at the time that if these signals were from Earhart and Noonan, they must have been on land with the aircraft since water would have otherwise shorted out the Electra's electrical system. Sporadic signals were reported for four or five days after the disappearance but none yielded any understandable information. The captain of the Colorado later said "There was no doubt many stations were calling the Earhart plane on the plane's frequency, some by voice and others by signals. All of these added to the confusion and doubtfulness of the authenticity of the reports." Beginning approximately one hour after Earhart's last recorded message, the USCG Itasca undertook an ultimately unsuccessful search north and west of Howland Island based on initial assumptions about transmissions from the aircraft. The United States Navy soon joined the search and over a period of about three days sent available resources to the search area in the vicinity of Howland Island. The initial search by the Itasca involved running up the 157/337 line of position to the NNW from Howland Island. The Itasca then searched the area to the immediate NE of the island, corresponding to the area, yet wider than the area searched to the NW. Based on bearings of several supposed Earhart radio transmissions, some of the search efforts were directed to a specific position 281 degrees NW of Howland Island without finding land or evidence of the flyers. Four days after Earhart's last verified radio transmission, on July 6, 1937 the captain of the battleship Colorado received orders from the Commandant, Fourteenth Naval District to take over all naval and coast guard units to coordinate search efforts. The official search efforts lasted until July 19, 1937. At $4 million, the air and sea search by the Navy and Coast Guard was the most costly and intensive in U.S. history up to that time but search and rescue techniques during the era were rudimentary and some of the search was based on erroneous assumptions and flawed information. Official reporting of the search effort was influenced by individuals wary about how their roles in looking for an American hero might be reported by the press. Despite an unprecedented search by the United States Navy and Coast Guard no physical evidence of Earhart, Noonan or the Electra 10E was found. The United States Navy Lexington aircraft carrier and Colorado battleship, the Itasca (and even two Japanese ships, the oceanographic survey vessel Koshu and auxiliary seaplane tender Kamoi) searched for six-seven days each, covering 150,000 square miles (390,000 km). Immediately after the end of the official search, Putnam financed a private search by local authorities of nearby Pacific islands and waters, concentrating on the Gilberts. In late July 1937 Putnam chartered two small boats and while he remained in the United States, directed a search of the Phoenix Islands, Christmas (Kiritimati) Island, Fanning (Tabuaeran) Island, the Gilbert Islands and the Marshall Islands, but no trace of the Electra or its occupants was found. David Jourdan, a former Navy submariner and ocean engineer specializing in deep-sea recoveries, has claimed any transmissions attributed to Gardner Island were false. Through his company Nauticos he extensively searched a 1,200-square-mile (3,100 km) quadrant north and west of Howland Island during two deep-sea sonar expeditions (2002 and 2006, total cost $4.5 million) and found nothing. The search locations were derived from the line of position (157-337) broadcast by Earhart on July 2, 1937. Nevertheless, Elgen Long's interpretations have led Jourdan to conclude, "The analysis of all the data we have - the fuel analysis, the radio calls, other things - tells me she went into the water off Howland." Earhart's stepson George Palmer Putnam Jr. has been quoted as saying he believes "the plane just ran out of gas." Susan Butler, author of the "definitive" Earhart biography East to the Dawn, says she thinks the aircraft went into the ocean out of sight of Howland Island and rests on the seafloor at a depth of 17,000 feet (5 km). Tom D. Crouch, Senior Curator of the National Air and Space Museum, has said the Earhart/Noonan Electra is "18,000 ft. down" and may even yield a range of artifacts that could rival the finds of the Titanic, adding, "...the mystery is part of what keeps us interested. In part, we remember her because she's our favorite missing person." In July 2007, an editor at Avionews in Rome compared the Gardner Island hypothesis to other non-crash-and-sink theories and called it the "most confirmed" of them. In 1988, The International Group for Historic Aircraft Recovery (TIGHAR) initiated their project to investigate the Earhart/Noonan disappearance and since then has sent six expeditions to the island. They have suggested Earhart and Noonan may have flown without further radio transmissions for two and a half hours along the line of position Earhart noted in her last transmission received at Howland, arrived at then-uninhabited Gardner Island (now Nikumaroro) in the Phoenix group, landed on an extensive reef flat near the wreck of a large freighter (the SS Norwich City) and ultimately perished. TIGHAR's research has produced a range of documented archaeological and anecdotal evidence supporting this hypothesis. For example, in 1940, Gerald Gallagher, a British colonial officer and licensed pilot, radioed his superiors to inform them that he had found a "skeleton... possibly that of a woman", along with an old-fashioned sextant box, under a tree on the island's southeast corner. He was ordered to send the remains to Fiji, where in 1941, British colonial authorities took detailed measurements of the bones and concluded they were from a male about 5 ft 5 in tall. However, in 1998 an analysis of the measurement data by forensic anthropologists indicated the skeleton had belonged to a "tall white female of northern European ancestry." The bones themselves were misplaced in Fiji long ago and have not been found. From July 21 to August 2, 2007, a TIGHAR expedition visited Nikumaroro searching for unambiguously identifiable aircraft artifacts and DNA. The group included engineers, technical experts and others. They were reported to have found additional artifacts of as yet uncertain origin on the weather-ravaged atoll, including bronze bearings which may have belonged to Earhart's aircraft and a zipper pull which might have come from her flight suit. In December 2010, the research group said it had found bones that appeared to be part of a human finger. The following March they reported that DNA testing at the University of Oklahoma proved inconclusive as to whether the bone fragments were from a human or from a sea turtle. A World War II-era movie called Flight for Freedom (1943) starring Rosalind Russell and Fred MacMurray furthered a myth that Earhart was spying on the Japanese in the Pacific at the request of the Franklin Roosevelt administration. By 1949, both the United Press and U.S. Army Intelligence had concluded this rumor was groundless. Jackie Cochran, another pioneering aviator and one of Earhart's friends, made a postwar search of numerous files in Japan and was convinced the Japanese were not involved in Earhart's disappearance. David Billings, an Australian aircraft engineer, has asserted a map marked with notations consistent with Earhart's engine model number and her airframe's construction number has surfaced. It originates from a World War II Australian patrol stationed on New Britain Island off the coast of New Guinea and indicates a crash site 40 miles (64 km) southwest of Rabaul. Billings has speculated Earhart turned back from Howland and tried to reach Rabaul for fuel. Ground searches have been unsuccessful. Amelia Earhart was a widely known international celebrity during her lifetime. Her shyly charismatic appeal, independence, persistence, coolness under pressure, courage and goal-oriented career along with the circumstances of her disappearance at a young age have driven her lasting fame in popular culture. Hundreds of articles and scores of books have been written about her life which is often cited as a motivational tale, especially for girls. Earhart is generally regarded as a feminist icon. The home where Earhart was born is now the Amelia Earhart Birthplace Museum and is maintained by the Ninety-Nines, an international group of female pilots of whom Amelia was the first elected president. In 1997, on the 60th anniversary of Amelia Earhart's world flight, San Antonio businesswoman Linda Finch retraced the final flight path flying the same make and model of aircraft as Earhart, a restored 1935 Lockheed Electra 10E. Finch touched down in 18 countries before finishing the trip two and a half months later when she arrived back at Oakland Airport on May 28, 1997. In 2001, another commemorative flight retraced the route undertaken by Amelia Earhart in her August 1928 trans-continental record flight. Dr. Carlene Mendieta flew an original Avro Avian, the same type that was used in 1928. The "Earhart Tree" on Banyan Drive in Hilo, Hawaii was planted by Amelia Earhart in 1935. In 1942, a United States Liberty ship named SS Amelia Earhart was launched (it was wrecked in 1948). Amelia Earhart Field (1947), formerly Masters Field and Miami Municipal Airport, after closure in 1959, the Amelia Earhart Regional Park was dedicated in an area of undeveloped federal government land located north and west of the former Miami Municipal Airport and immediately south of Opa-locka Airport. Amelia Earhart Commemorative Stamp (8� airmail postage) was issued in 1963 by the United States Postmaster-General. Earhart Corona, a corona on Venus was named by the (IAU) in 1982. Earhart Foundation, located in Ann Arbor, MI. Established in 1995, the foundation funds research and scholarship through a network of 50 "Earhart professors" across the United States. 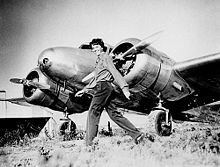 Amelia Earhart Pioneering Achievement Award, Atchison, Kansas: Since 1996, the Cloud L. Cray Foundation provides a $10,000 women’s scholarship to the educational institution of the honoree’s choice. Amelia Earhart Earthwork in Warnock Lake Park, Atchison, Kansas. Stan Herd created the 1-acre (4,000 m) landscape mural in 1997 from permanent plantings and stone to celebrate the 100th anniversary of Earhart's birth. Located at 39�32′15″N 95�08′43″W﻿ / ﻿39.537621�N 95.145158�W﻿ / 39.537621; -95.145158 and best viewed from the air. On December 6, 2006, California Governor Arnold Schwarzenegger and First Lady Maria Shriver inducted Amelia Earhart into the California Hall of Fame located at The California Museum for History, Women and the Arts. Picture - Earhart Tribute at Portal of the Folded Wing; note error in birthdate. Schools named after Amelia Earhart are found throughout the United States including the Amelia Earhart Elementary School, in Alameda, California, Amelia Earhart Elementary School, in Hialeah, Florida, Amelia Earhart Middle School, Riverside, California and Amelia Earhart International Baccalaureate World School, in Indio, California. Earhart appears as a character in David Lippincott's 1970 novel, E Pluribus Bang!. Patti Smith published two poems dedicated to Earhart: "Amelia Earhart I" and "Amelia Earheart II" in her 1972 poetry collection Seventh Heaven. 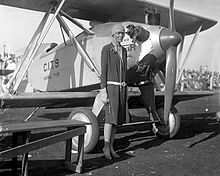 Earhart is referenced in Clive Cussler's 1992 book Sahara. Flying Blind (1999) by Max Allan Collins is a detective novel in which the intrepid Nathan Heller is hired to be a bodyguard for Amelia Earhart. Before long they become lovers (her marriage to Putnam being described as being a union in name only) and later Heller helps her to try to escape from the Japanese following her ill-fated flight. Amelia And Eleanor Go For A Ride (1999) is a children's picture book written by Pam Munoz Ryan and illustrated by Brian Selznick. It tells the story of the impromptu flight taken by Amelia Earheart and Eleanor Roosevelt in 1933. In Christopher Moore's 2003 novel, Fluke, Earhart survived her wreck and appears as the mother of one of the characters. Possibly the first tribute album dedicated to the legend of Amelia Earhart was by Plainsong, "In Search of Amelia Earhart", Elektra K42120, released in 1972. Both the album and the Press Pak released by Elektra are highly prized by collectors and have reached cult status. Singer Joni Mitchell wrote a song called "Amelia" on her 1976 album, Hejira, based on Amelia Earhart's legacy. A video of her live album Shadows and Light (1980) includes the song "Amelia" and incorporates clips of Earhart. In 1979, Bachman-Turner Overdrive (BTO) released a song called "Amelia Earhart" on their album, Rock n' Roll Nights. Erik Frandsen's musical: Song of Singapore, that opened May 23, 1991, features a lounge singer with amnesia, recovering to discover she's Amelia Earhart. Alternative country band The Handsome Family's 1996 album Milk and Scissors includes the song "Amelia Earhart vs. the Dancing Bear", a fictionalized account of Earhart's death in a hypothetical crash. The disappearance of Earhart is one of the many mysteries mentioned in the song "Someday We'll Know" (1999) by the New Radicals, later covered by Mandy Moore and Jonathan Foreman for the movie A Walk to Remember. The lyrics are: "Whatever happened to Amelia Earhart? Who holds the stars up in the sky?" Singer/songwriter Deb Talan's second album, "Something Burning" (2000), begins with a song called "Thinking Amelia." The song goes on to suggest that Earhart had a "one-in-a-million bad day." The song "Aviator" by Nemo, which appears on their 2004 debut LP Signs of Life, was written about Amelia Earhart's last flight. The song "I Miss My Sky," written by Heather Nova for her 2005 album Redbird, is dedicated to Earhart, suggesting that she survived on an island after her disappearance. Banjo player Curtis Eller of Curtis Eller's American Circus has also written a song about Earhart's disappearance, "Amelia Earhart" in his "Taking Up Serpents Again" release (2005). One of the lyrics poignantly states that she, "disappeared in a cloudbank and the static never cleared." The Canadian Hip Hop artist Buck 65 links Amelia Earhart and other iconic women Neko Case and Frida Kahlo in the song "Blood of a Young Wolf" (2006) from the album Secret House Against The World. English singer/songwriter Tom McRae's fourth album King of Cards (2007) features a song called "The Ballad of Amelia Earhart." Pop/rock singer-songwriter Jon Mclaughlin wrote a song titled "Amelia's Missing" (2007); the lyrics state: "and Amelia's missing somewhere out at sea." The song "Amelia" from the 2009 album Blue Lights on the Runway by Irish band Bell X1 contemplates the last moments and fate of Earhart. The 1943 Rosalind Russell film Flight for Freedom derived from a treatment, Stand by to Die, was a fictionalized treatment of Earhart's life, with a heavy dose of Hollywood World War II propaganda. "In Search of: Amelia Earhart," (1976) was episode 16 of the 1976-1982 In Search Of series, hosted by Star Trek alum Leonard Nimoy. The episode explores the possibility that Earhart was on a secret spy mission and was possibly captured by the Japanese. In the climax of the 1977 science fiction film Close Encounters of the Third Kind, Amelia Earhart is seen walking out of the Mothership, along with a crowd of a hundred other alien abduction survivors. Director Steven Spielberg has acknowledged that this was specifically a nod to the legacy of Earhart and other flyers who mysteriously vanished at sea. Earhart as one of many humans abducted by an alien race in 1937, only to be found in cryo-stasis on a planet on the other side of the galaxy, is portrayed by Sharon Lawrence in the Star Trek: Voyager episode "The 37's" (first aired 1995). Dialogue from the episode states that the flight was, in fact, espionage - the fact that such top-secret information had become common knowledge was the first thing that made her realize that the Voyager crew's tale of another planet, and in the future, might actually be true. Actress Jane Lynch was cast as Amelia Earhart in the 2004 film The Aviator, but her scenes were cut. In Amelia (2009), Amelia Earhart is portrayed by Hilary Swank, who also served as co-executive producer of the biopic. The Gap khaki pants ad campaign (1993) featured Amelia Earhart's likeness as did ads for Apple computers. Campbell, Mike with Thomas E. Devine. With Our Own Eyes: Eyewitnesses to the Final Days of Amelia Earhart. Lancaster, Ohio: Lucky Press, LLC, 2002. ISBN 0-9706377-6-4. King, Thomas F. et al. Amelia Earhart's Shoes. Walnut Creek, CA: AltaMira Press, 2001. ISBN 0-7591-0130-2. Marshall, Patti. "Neta Snook". 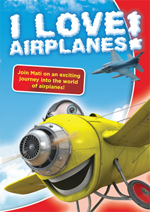 Aviation History Vol. 17, No. 3. January 2007, pp. 21-22. Regis, Margaret. When Our Mothers Went to War: An Illustrated History of Women in World War II. Seattle: NavPublishing, 2008. 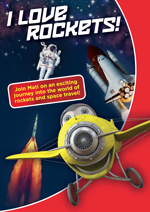 ISBN 978-1-87732-05-0. Van Pelt, Lori. "Amelia's Autogiro Adventures." 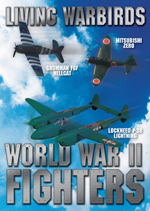 Aviation History March 2008. Purdue University Libraries, "George Palmer Putnam Collection of Amelia Earhart Papers"